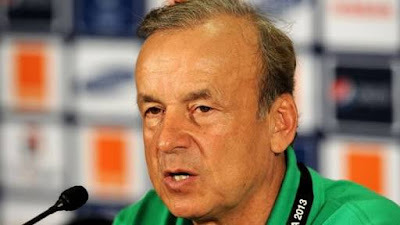 Super Eagles coach Gernot Rohr has dropped four players from the Super Eagles provisional squad. Kano Pillars’ Junior Lokosa, Plateau United goalkeeper, Dele Ajiboye, Bulgaria-based defender Stephen Eze and Standard Liege’s Uche Agbo have been cut from the 30-man provisional list. The German coach said previously that he’d reduce the squad to 25 players before the team travels to London for the friendly against England.